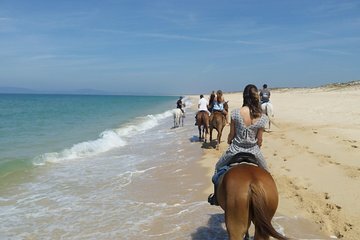 Take a horse riding tour along Setubal Peninsula near Lisbon. Enjoy the ocean breeze and beautiful coastal scenery as you make your way across the white sand beaches of the Sado Estuary. This 1.5-hour tour is suitable for all skill levels and for people ages 10 and older and includes round-trip hotel transportation from Lisbon or Setubal.